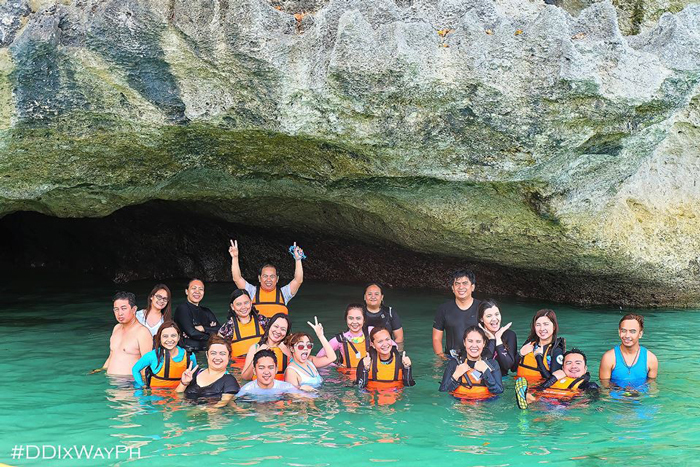 Summer came in early for Davao Digital Influencers this year; we had our Samal-Talikud Island and beach hopping adventure on Saturday, March 4. We can’t thank enough Kaiser of WayPH.Com for arranging our early summer getaway. 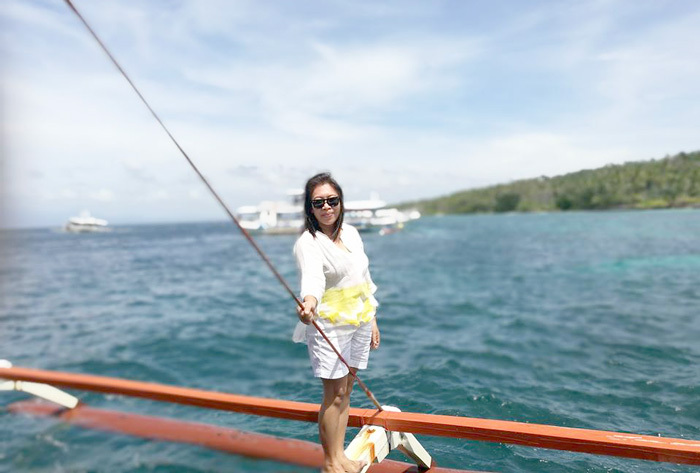 Talikud Island comprised the now 7,641 islands of the Philippines and politically part of Island Garden City of Samal. It's one of the island destinations you shouldn't miss when visiting Davao. It’s an hour boat ride from Sta. Ana Wharf in Davao. When coming here in small groups, there are passenger boats at Sta. Ana Wharf that serviced Talikud-Davao-Talikud route everyday. First trip leaves at 7am and the last boat from Talikud to Davao leaves at 3PM. When coming to the Island as a group, it is best to charter a boat. WayPH.Com can help you with that as they offer hassle-free beach hopping and island adventure tour packages. You can even customize your package, say, just charter a boat and bring your own ‘baon’. Or if you’re too busy to do that, you can always opt for a package with good food included, just like what they did to our trip. So our day started at Sta. Ana Wharf. We left at around 9am, too late actually (props to the late comers). We skipped Babu Santa on this trip, it's actually one of the best swimming spots in Talikud Island. It boasts pristine, turquoise waters and white sand beach. There's also this dock ruins which is Instagram post worthy, I'll do my 'no-filter' post on that next trip. Then, we head straight to Coral Garden and Marine Park, it's a 150-acre marine reserve park and a famous dive spot in Talikud Island. For those who love the underwater, there's a whole other magnificent world right under where I stand. This marine park is home to 250 aquarium fishes and a variety of sea grasses and weeds. To most diving enthusiasts, it's like diving in an aquarium. Gezzz, I missed my chance finding Nemo. Charter boats normally have snorkels for rent, and it's not everyday you meet Dory, so go grab one. It’s one of the best areas to snorkel and do deep water swimming. These kiddos just know how to have fun! 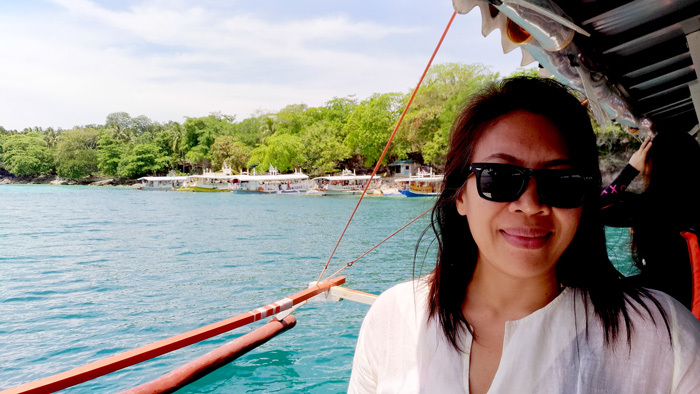 Next stop was Isla Reta 2. Not a glam resort but a very good place to stop and enjoy the blue and clear waters of Talikud. They made make-shift ‘sugba’ and eating areas here. 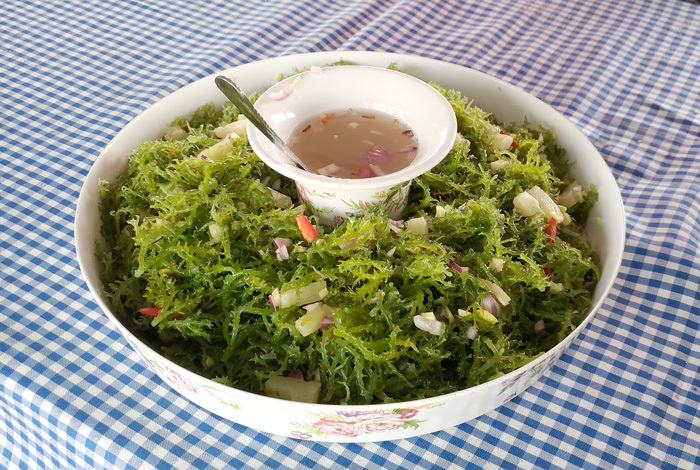 A must stop for those who aren’t bringing ready-to-eat baon and would love to make an effort to make 'sugba'. The bad news is, there’s no tap water here, so it’s best to bring your own when you decide to grill your 'sud-an' here. There's a good clearing in the area, so if you wish to stay overnight, detach yourself from Facebook or wish to go back to the basics and the like, you can pitch your tent for P35.00 a night. Thank you, WayPH.Com for the early summer treat! The advantage of including food in your island hopping package is that you don’t need to worry about prepping stuff at all. 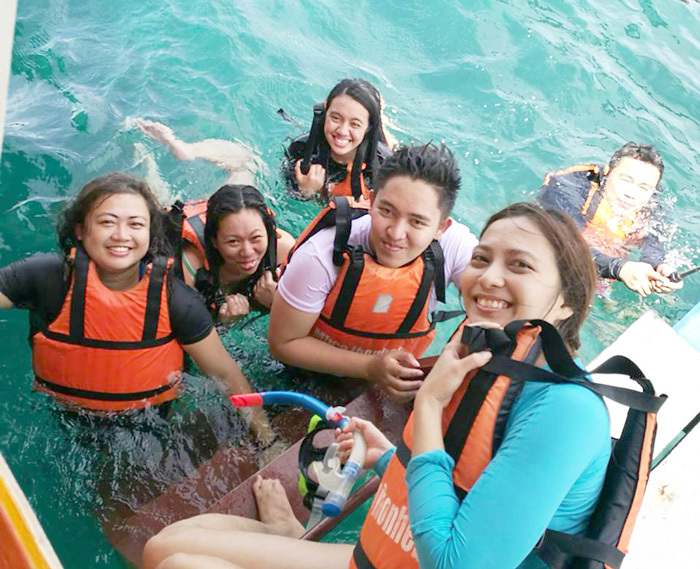 All you need to do is chill, clear your mind and enjoy the view, the sparkling and blue waters of Samal. There's also a good catch about this place - it’s serene, unsoiled and privacy is priceless. We stayed here long. We left this place around 3:30PM. You can also opt to stop by Isla Reta Resort and the Giant Taklobo Sanctuary if you wish to, depending on your package. But we ran out of time so for our last stop, we’re wishing on the Wishing Island. I always see this islet in all of my Samal-Talikud boat rides in the past, but this is the first time that I’m seeing it up close and I’m going to conquer it, lelz. 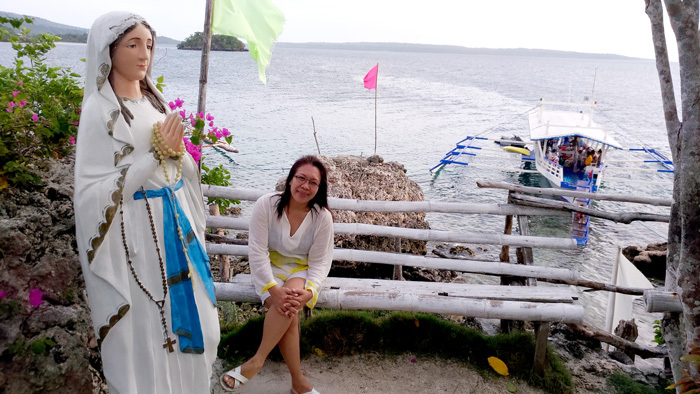 There’s a Mama Mary statue at the climb landing. Say your wish and work for it! They say some good things never last, but good memories will last forever and so we sailed back home happy and wishing there would be more of this in the days to come. Cheers to more trips, Davao Digital Influencers! Thank you, Kaiser! It was truly a day of fun and bonding time with old friends and getting to know the new ones in the group. I went home beat, but happy. Got ‘pamaul’, geeeezzz! #TigulsProblems. It’s been a while that I haven’t been swimming, so yeah, that’s what I got and a bucketful of laughing and cheerful memoirs of the trip. Thanks a lot, Kaiser for being so generous and for hosting this trip. 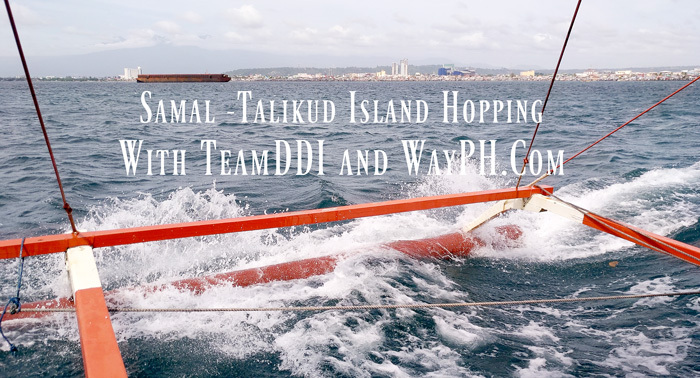 For a hassle-free, no hidden costs and satisfaction guaranteed Samal-Talikud Island hopping and tours, book your summer escapade with WayPH.Com. They also offer affordable packages in many prime tourist destinations around The Philippines. 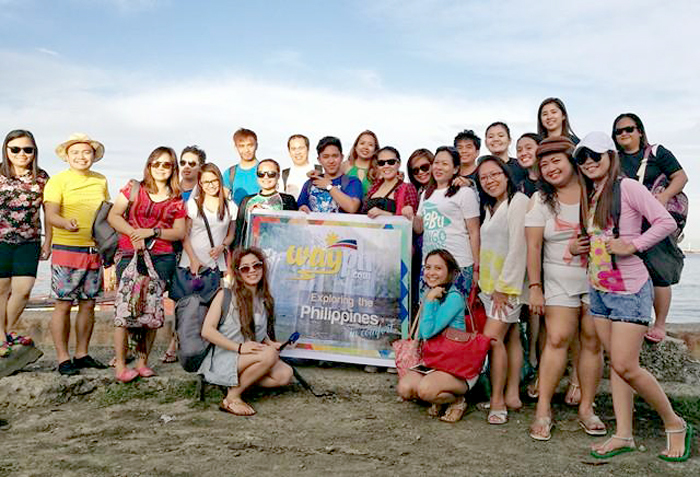 It’s truly a hassle-free and fun beach and island hopping experience with Way Philippines. Book your next trip today, visit www.wayph.com. More pictures on this video. Thanks guys for sharing your photos. Hanggang sa muli!